been admiring your cupcakes from afar. i think they are all gorgeous. I remember watching "Home and Away" during my student days when I was in UK and I didn't know that the series is still on in Australia. I watched Neighbours too ( that nosy Mrs mangle ). I can't stop looking a your page. What beautiful cupcakes, I will definatly be watching home and away this week. I dream to be as creative as you some day. Have just doing cakes and I am seriously obbsessed my hubby thinks I am crazy because I dream about cakes(Maybe I am) Thank you for sharing your talent. Your work has been inspiring me for months, but I have only just got around to figuring out this blogging thing. I would really appreciate any comments about my work and just to know you have looked would make my day! wow! :)Really cute!Beautiful blog you have. Whats your favorite cookie? Your work is the best I've seen yet! 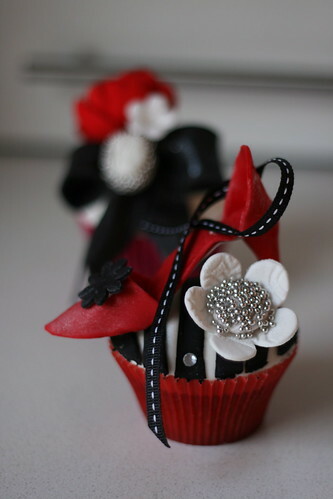 Oh those look amazing, I love making cupcakes and you have inspired me to make some....maybe next weekend. They look beautiful I want to eat them all up.